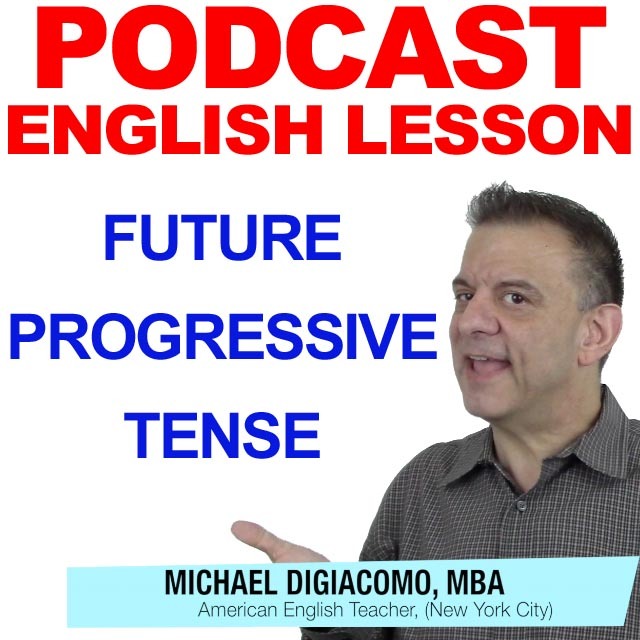 Today, let’s have a look at the future progressive tense in English, and how it compares to using the simple future tense. In just a few short months, I am going to be relaxing on the beach. I’ll be working on the weekend, so I can’t go skiing with you. I’ll be thinking about you while I’m away on business. By this time next month I’ll be enjoying the breathtaking views of the Grand Canyon. I’ll be seeing Jack at the trade show next week. I’m going to see Jack at the trade show next week. I’ll probably see Jack at the trade show next week. I’ll be seeing my sister a lot more often since she moved back to the old neighborhood. I’ll be going by the library on my way to work. Do you want me to drop off your books? If you need me, I’ll be working in the conference room. Will you be using the car this afternoon? I need to do a few errands. Will you be meeting in Room 2? I want to use that room for half an hour. Will you be attending the conference next week? Will you be working next weekend?